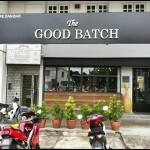 Do you remember the famous breakfast spot ‘That Latte Place’ in Ampang? 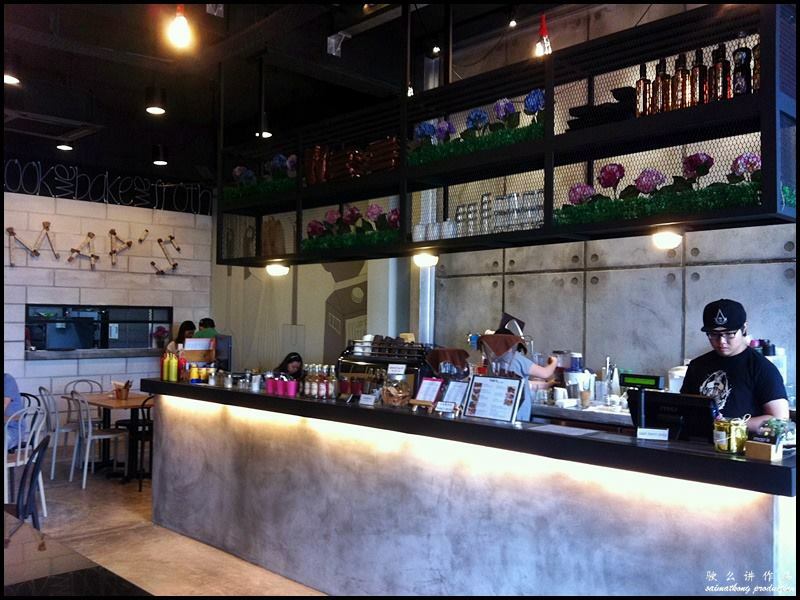 That Latte Place place has closed down several months ago but it has reopened on 15th August 2014 at Cheras’ Ikon Connaught (near UCSI). 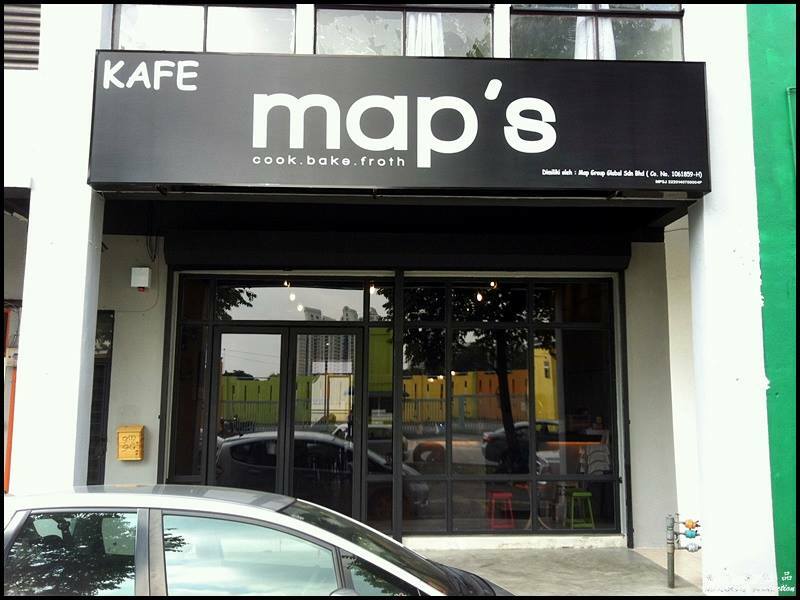 On the other hand, Mark (owner of That Latte Place) and his team has recently opened a new cafe called Map’s at Bandar Sunway. 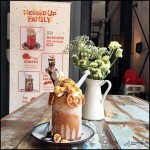 This cosy cafe is located fairly near Sunway Pyramid; occupying one of the shophouses next to Petron petrol station in Bandar Sunway. 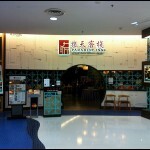 Map’s is situated on a quiet street in Bandar Sunway so there is ample parking here. 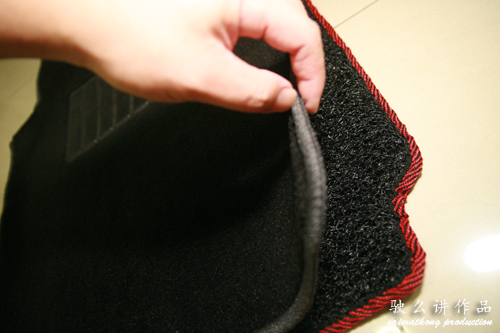 Interior is simple and cosy with artsy wall decorations. The owners definitely has put in a lot of effort in decorating the place. 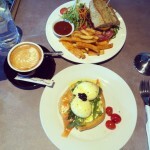 Menu options range from western breakfast, salads, pasta, sandwiches and burgers. 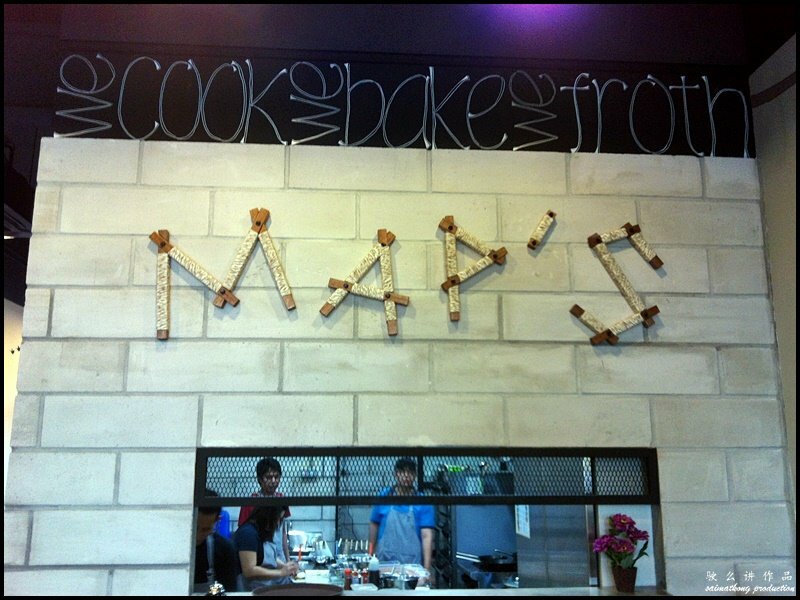 Unlike That Latte Place which is pork free, Map’s serves pork dishes. 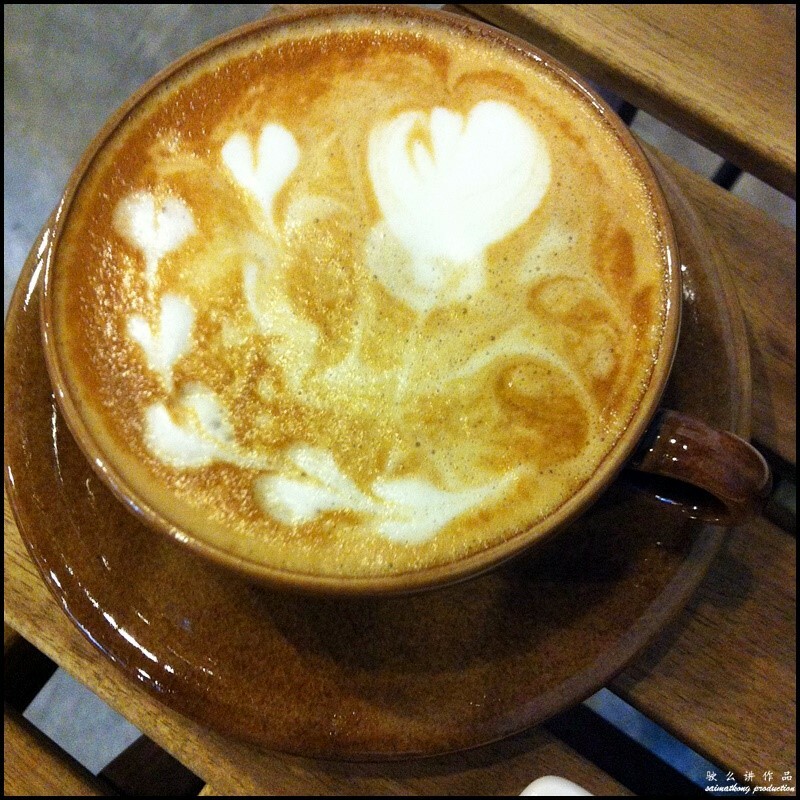 My hot cappuccino was decent but was hoping the coffee art could be better! No caffeine for the preggy wife so she ordered fruit juice instead. 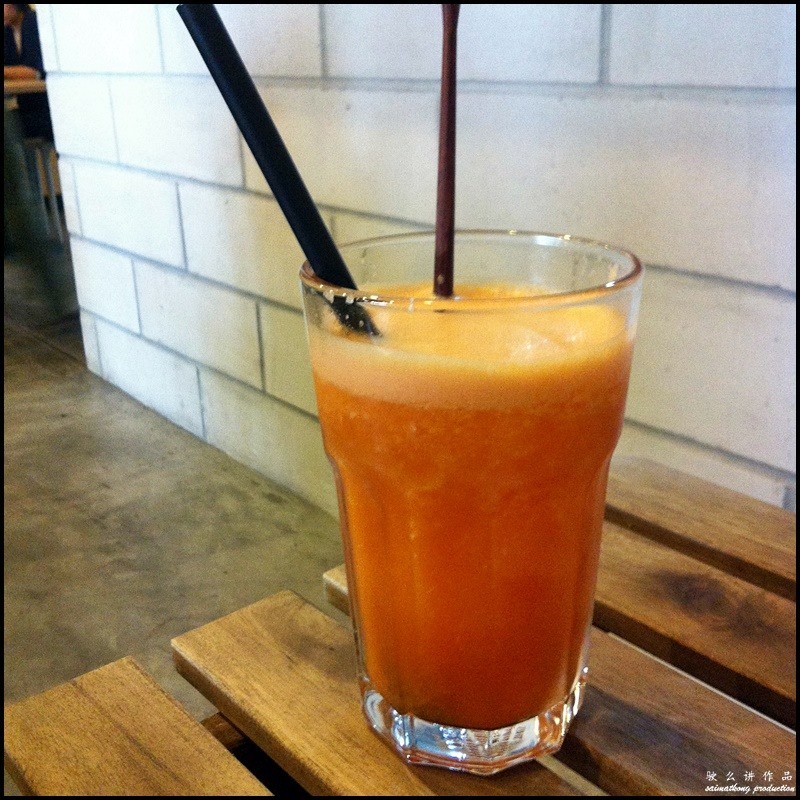 She had ‘Run’ which consists of orange, carrot and passion fruit syrup. I took a sip. It was refreshing and not overly sweet. 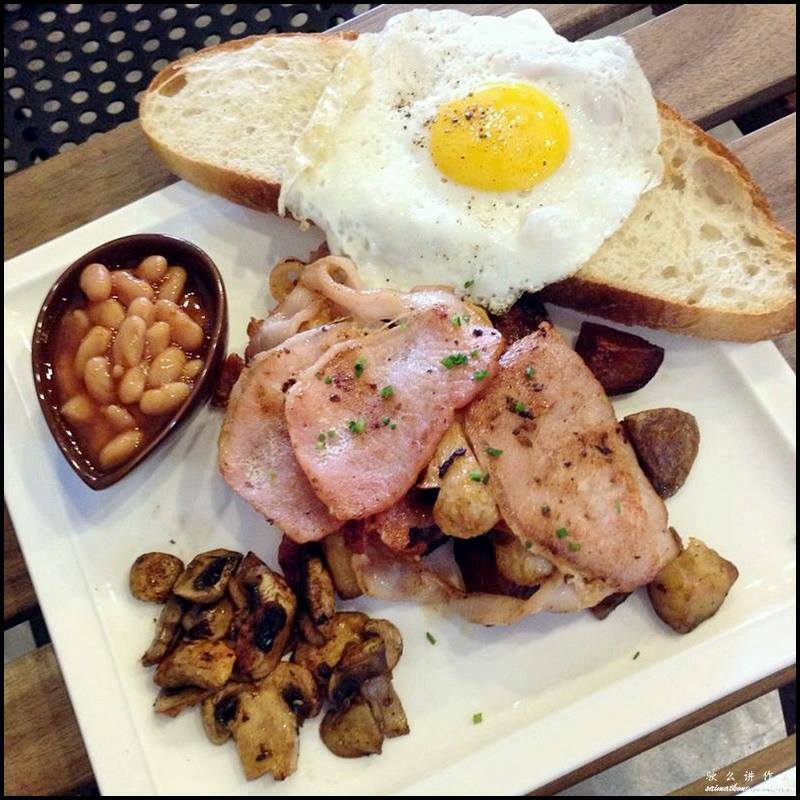 The ‘Breakfast in Bed’ consists of sliced pork bacon, cocktail sausages, roasted potatoes, sunny side up on a fairly large crispy toast, baked beans and sautéed mushrooms. The portion is just nice for me. 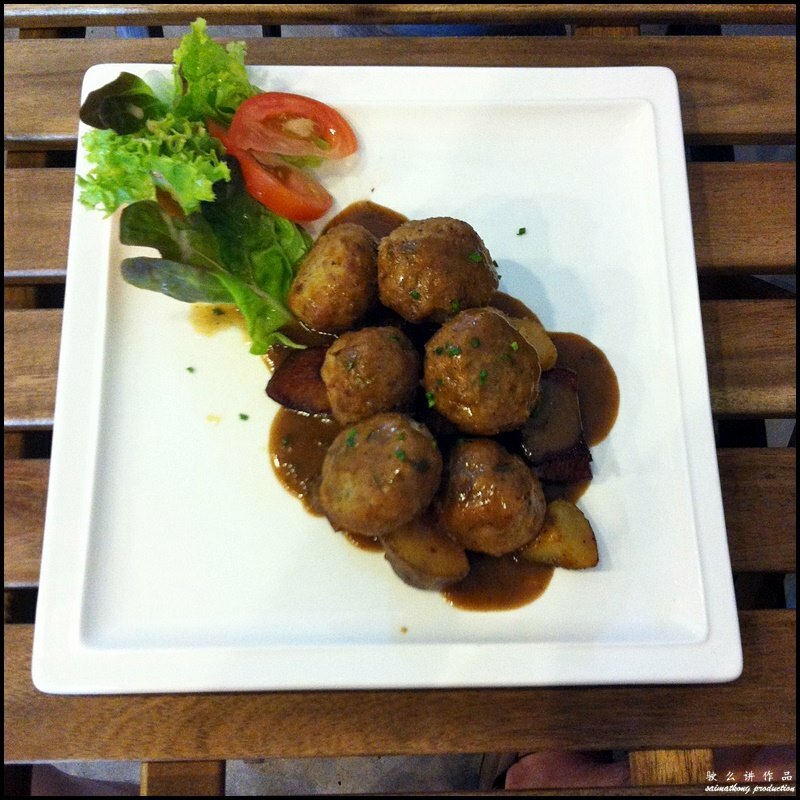 We all know that Ikea is famous for its meatballs which is made using minced beef but here at Map’s, you can have porkballs with roasted potatoes and side salad. The homemade porkballs are surprisingly soft, tender, flavorful and not to mention delicious. 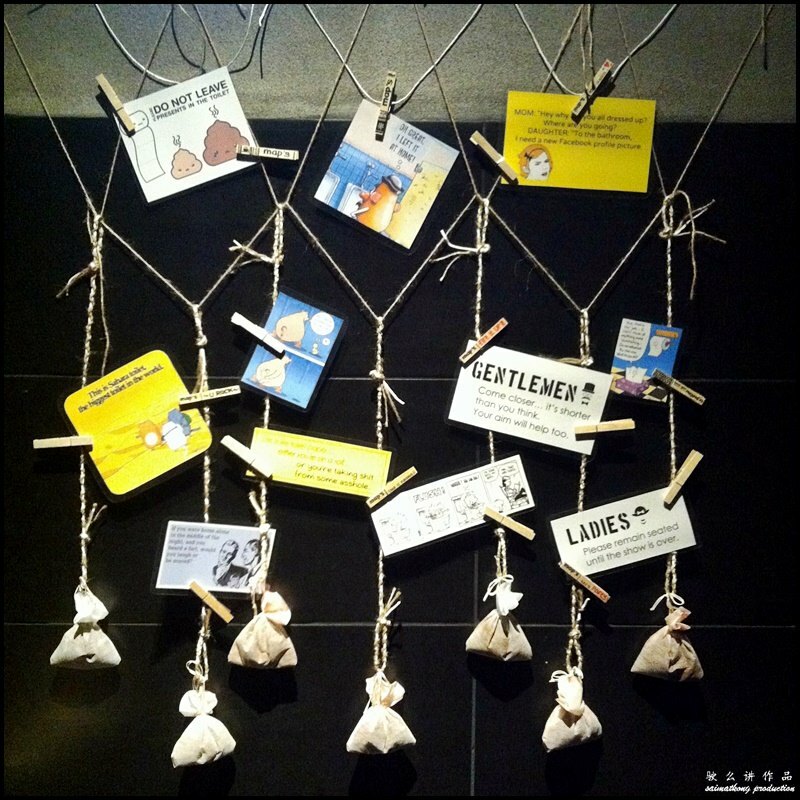 The toilet at Map’s is spotless clean and tastefully decorated. 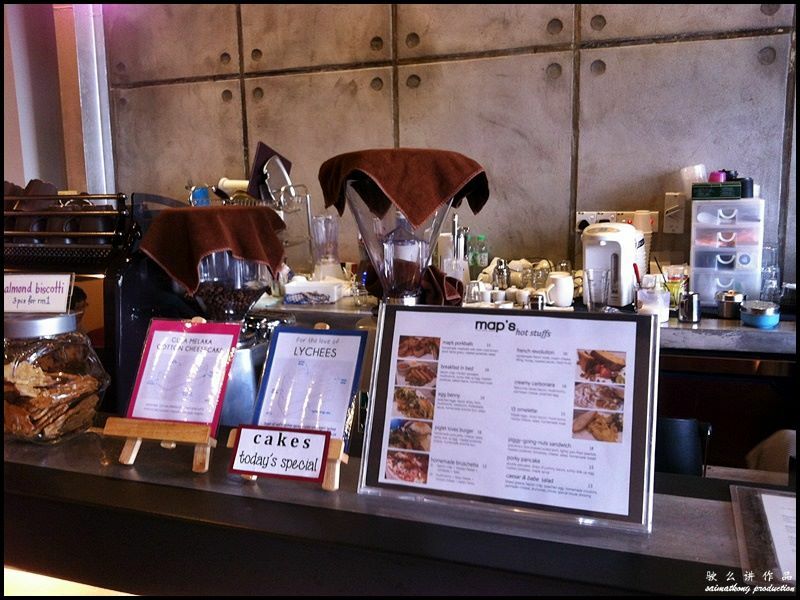 I can see that the owners really put in a lot of effort and thought to every details of the cafe. 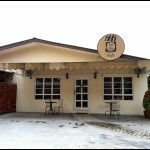 Verdict: Map’s is one of the nice breakfast spots in Bandar Sunway. 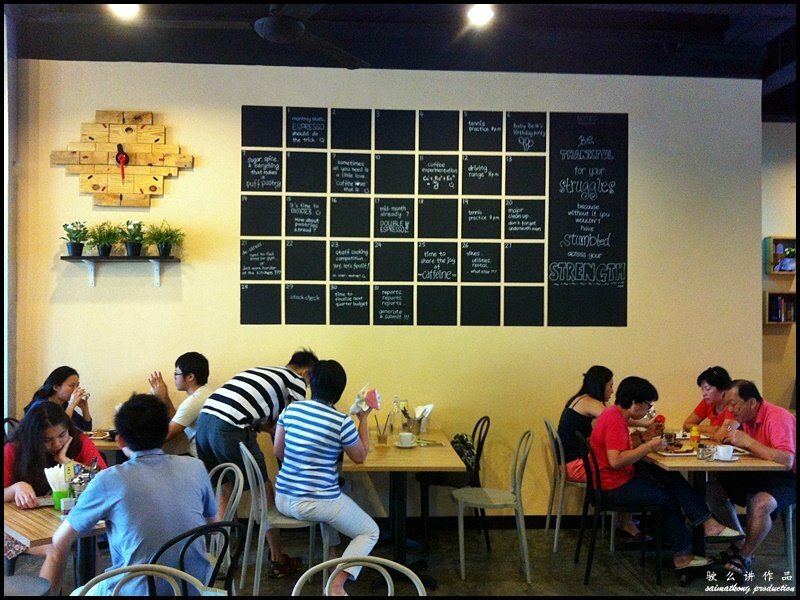 Situated in a rather quiet row of shop lots and a short distance away from Sunway Pyramid, this cosy cafe has very nice ambience which allows you to enjoy a good meal with your friends or family. 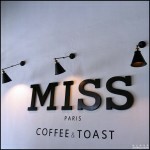 Kickstart your day with nice coffee and a great selection of western food at Map’s. 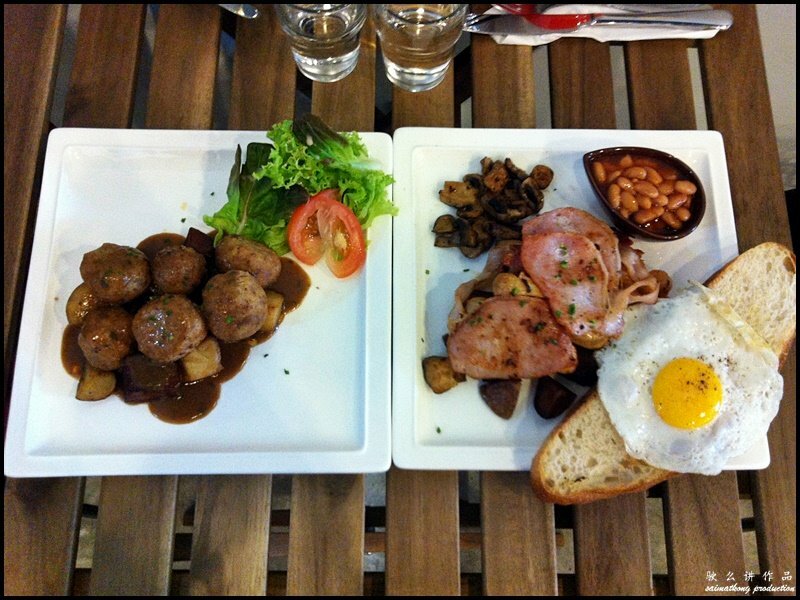 Among the highly recommended dishes are Breakfast in Bed, Eggs Benny, Porky Pancakes and Map’s Porkballs.